There’s something to be said for opening a neatly wrapped gift box. The element of surprise and the joy when you find the gift inside is immeasurable. Gifting is a pleasure for both the receiver and the giver. Now, what if we say that your gifts can taste yummy too? Yes, we at GurgaonBakers, create edible delicacies that look so much like real gift boxes. This Floral Gift Cake is both a present and cake. Light up your loved ones day with this adorable cake that comes with a pretty bow and cute flower embellishments all over the cake. You can customise this cake in your preferred flavours or colours. GurgaonBakers is the No.1 destination for the best birthday cakes in Gurgaon. Ordering a cake is made simple with us. All you have to do is select the type of cake, choose the flavours and type in the message to be displayed on the cake. 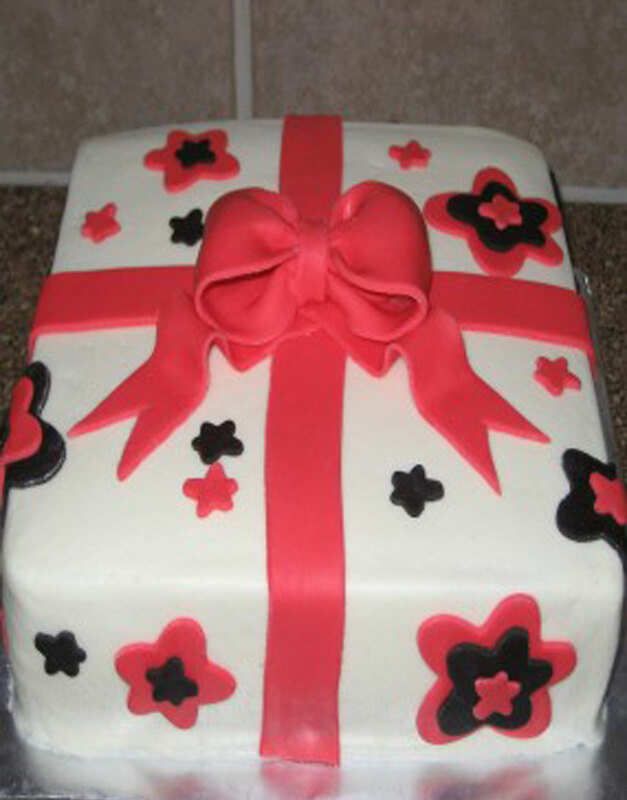 Use our secure payment gateways to order cakes online in Gurgaon and have your cakes delivered right at your doorstep.